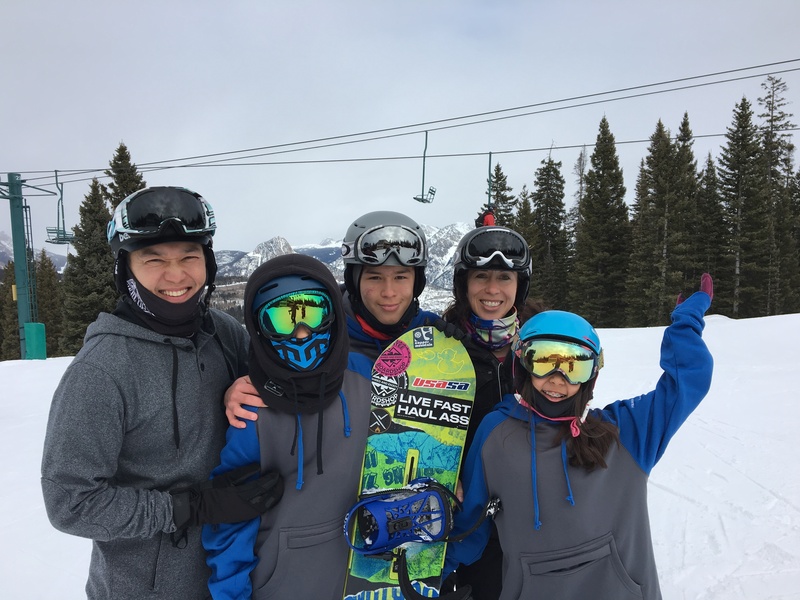 I can’t think of a greater thrill in our traveling than when all five of us gun it down a slope together. Last winter we did about 100 days on the snow with Team Summit and freeriding as a family. 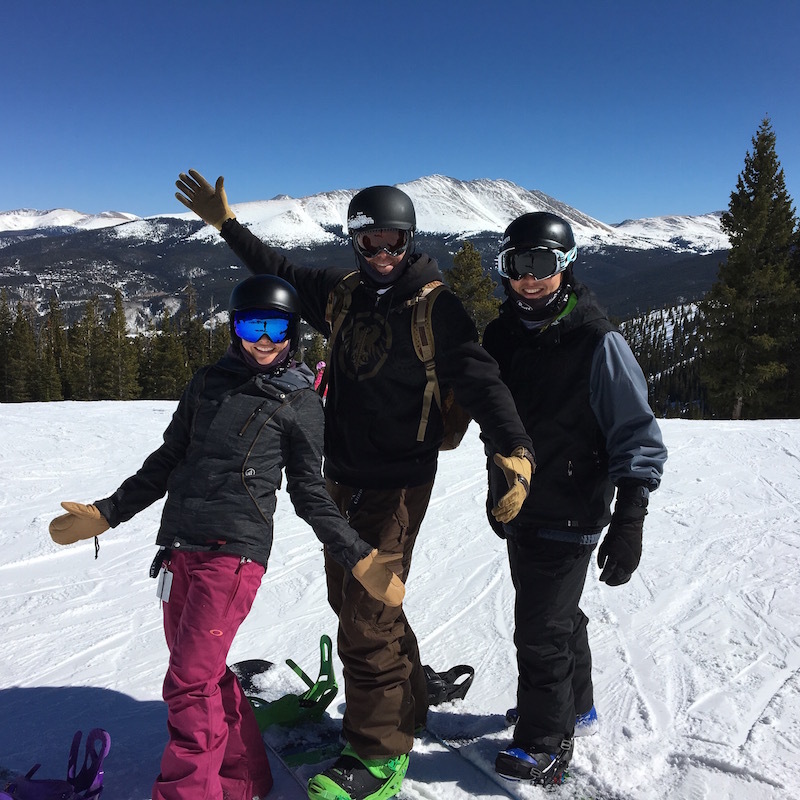 We all ride Burton boards, have all the cool gear and get amped up for pow days here in Keystone. 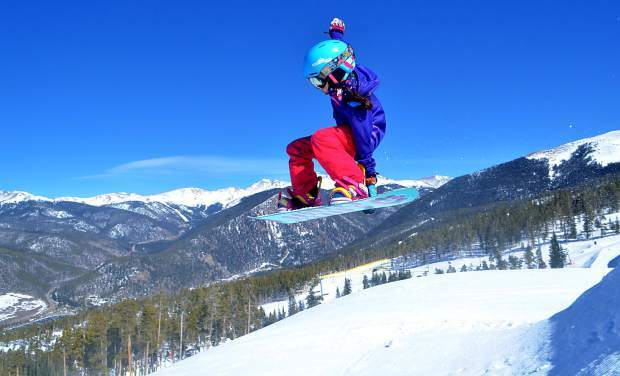 We also ride all over the area at Copper, Breckenridge, Vail, Beaver Creek and A-Basin. 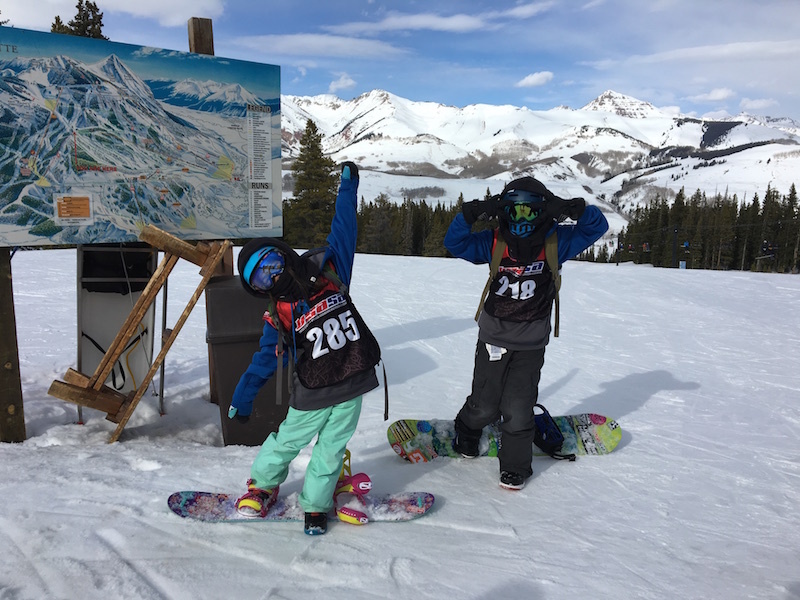 With the kids competing in boarder cross, slopestyle and halfpipe, this year we have also traveled to Ski Cooper, Durango Mountain, Crested Butte and Monarch this season. We even took a longer road trip to have some fun up in Park City, UT with friends to cruise Canyons and Park City Mountain. What a blast going down with 6 kids and 4-5 adults. We ended the day with a fantastic concert and photo opp with Michael Franti! We have made some wonderful like-minded friends up here in the mountains that love the outdoors and are always up for something fun. People that know us well know that we always try to say, “Yes.” And our kids learn that is our way. It has been that way ever since they were babies. These are “Yes” people up here. Always looking to play and get out. So fun. So free. And you don’t live up here without a story. There’s a lot of intentionality. The mountains are amazing, but it takes a lot to get here and stay here. The kids have been pushing hard and improving their riding on jumps, rails and freeriding. They are hitting some massive jumps, getting spins and learning to flip at Woodward. Gabe has been improving his standing flips and snowboard 5’s. He might be pulling off a 7 soon. He’s feeling it. He rides with fierce speed and aggressiveness. So fun to watch. Big highlight this year was riding Silverton back country with steep drops and chutes on opening day of untouched pow. 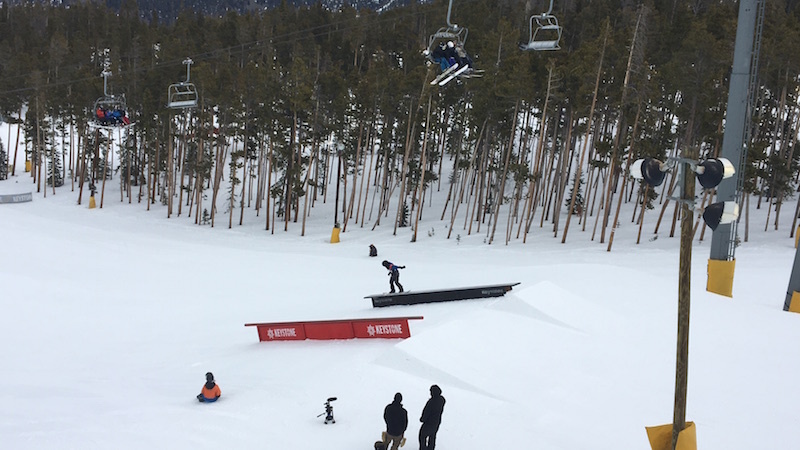 Isaac has loved the rails and has enjoyed pushing himself on slopestyle. He has enjoyed a great vibe with his training crew with his coach, Jack. They are a lot of fun to trail in the park and see them push each other on tricks off the rails and jumps. 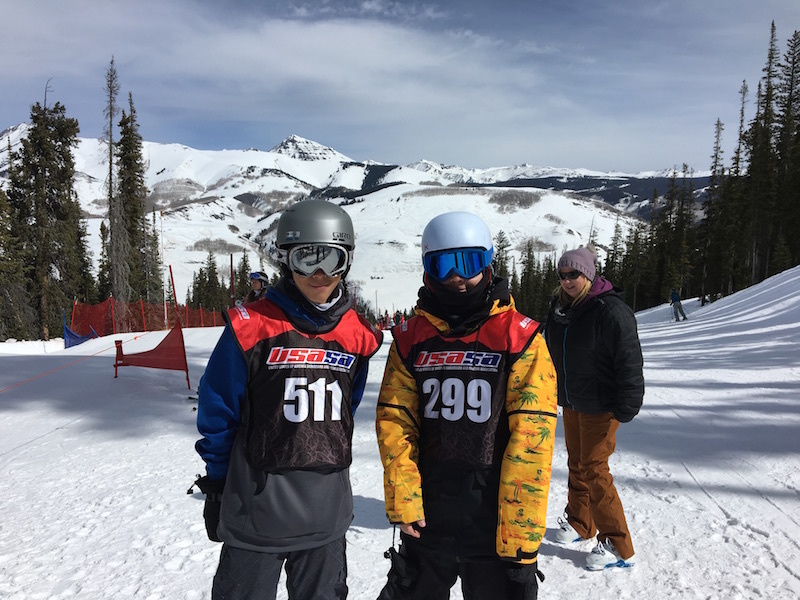 Jadyn is headed to nationals for boarder cross, pipe and slopestyle. 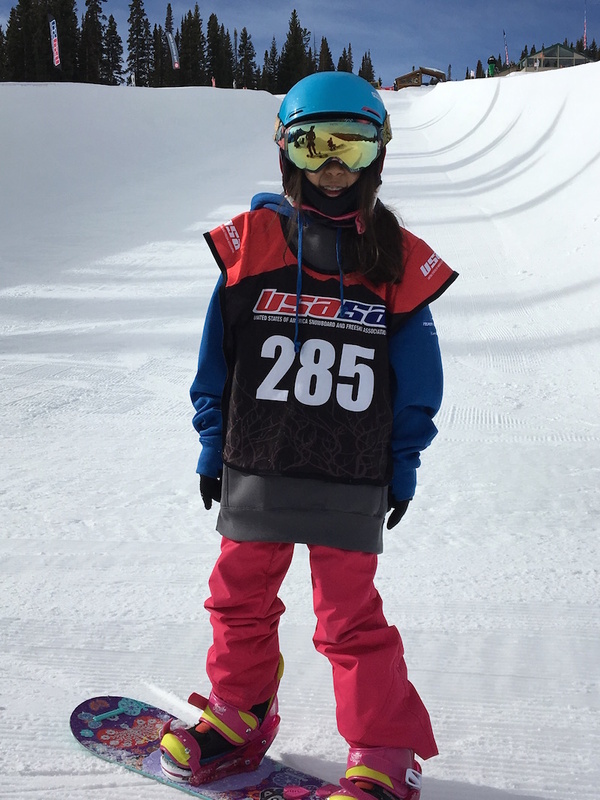 She has improved immensely and is so confident in her speed and tricks that she has picked up. 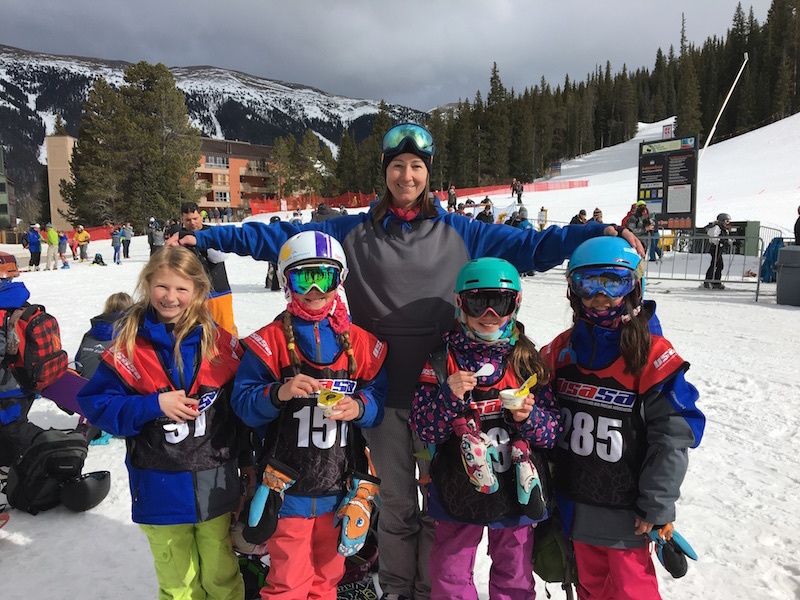 Coach Terri has been inspiring and encouraging with Jadyn and the group of girls that she rides with. Shredder girls that rock it for sure. Here’s a recent article from The Summit Daily featuring their team and coach. Sonya and I have had a ton of fun riding in all kinds of conditions and with friends. It’s always a fun date up here anytime. 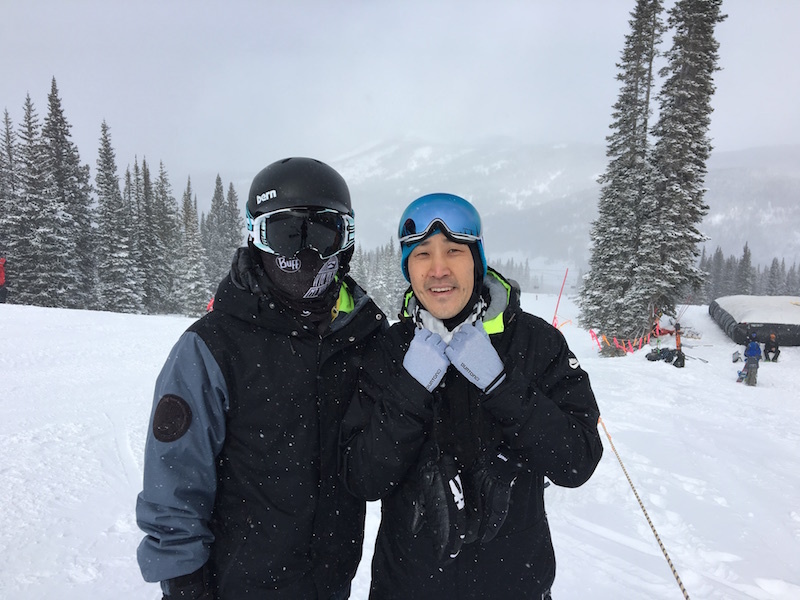 We will both even head out in the middle of a work day to get some time on snow and just cruise between meetings and lessons. The spring season is here in full swing, and we were dressing down in our hoodies and enjoying the sun before this recent dump of snow came. The boys will be transitioning to track and lacrosse here shortly with some overlap with snowboarding. I picture that we will be all over the world at any given time when the kids are grown. 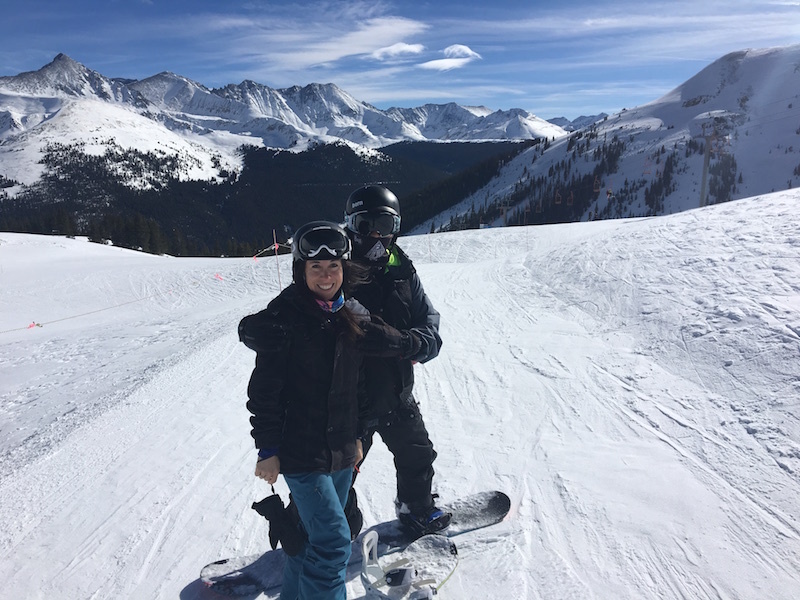 But we can always grab our boards and converge on a mountain somewhere to snowboard together. It’s too much fun and a gift we get to enjoy together. If you get the itch, ping us and we can cruise together up here at 10,000 feet!